Isis Storm | Begin The Storm! Providence, RI, May 17, 2012- An amazing kick off for “The Awakening Tour” happened this past saturday as Kal “5th Elament” Champlain and Satta “Lady D.U.B.B.” Jallah spent the morning at John Hope Settlement House for the “At Your Best” workshop for women of color with a session entitled “Becoming your Best YOU: Breaking our glass ceilings.” This workshop is part of the edutainment they plan to offer as this tour develops and grows. They closed out the day with a performance at Davey Lopes Rec Center for the “Young Mothers and Children’s” Day, showing the power of women through performance alongside their “Storm Sisters” and colleagues B-mor7 and J9. The event was put together by Tina Shepard, the new Out of School Time Coordinator. Tina brings a solid track record of creativity in education. Her commitment to the event was truly moving and touching. Through her efforts, she provided a space for women of color to be able to build themselves, and eachother. As the Awakening Tour develops, 5th Elament and Lady D.U.B.B. continue to reevaluate and reflect on its direction. As of now, they will be holding a 6 week affordable course available through teleconference which is a followup to the workshop from the conference. “This will allow us to remain true to our mission, while also allowing us time to focus on our individual projects and our collaborative album ’42 Laws’ (coming this fall). Once this album is complete we will be using it as the bases for our tour. It is an album about honoring ourselves, our ancestors, and shifting the energy of the times in line with the hopes of the ancient Mayans,” stated 5th Elament. The Awakening Tour is a collaborative project spearheaded by Kal “5th Elament” Champlain and Satta “LAdy D.U.B.B.” Jallah of Isis Storm. The goal of this tour is to combine our music and performance with a number of workshops that will be offered to the community. Holding a Masters degree in Communication combined with certification in Yoga instruction/Holistic Healing, our goal is to open a gateway of practical and creative healing that is conducive to these troubled times. By combining scholarly and spiritual methods used for treatment of the WHOLE person, we create performance and workshops that take into account the mental and social factors rather than just the physical symptoms of things such as trauma, poverty, and violence that cause dis-ease. 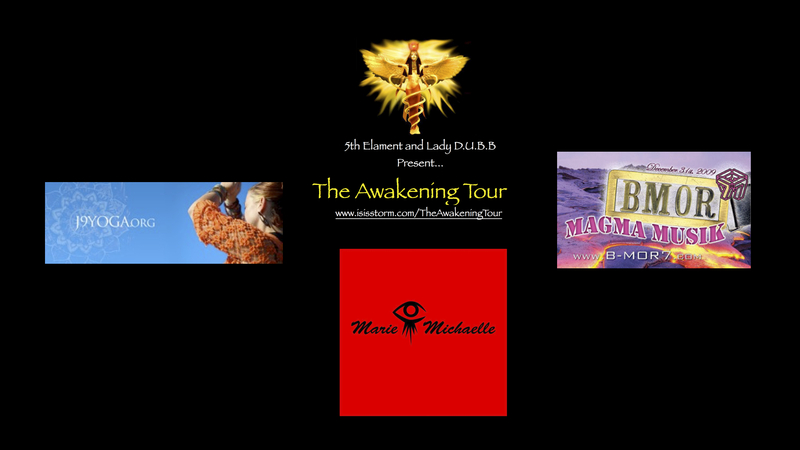 For more information on the awakening tour or book the artists for an event near you, go to isisstorm.com/theawakeningtour or email 42laws@gmail.com. Where in the World is The Rest of Isis Storm?!? While our sister Reza has been holdin down the blog you may be wondering: Where is the rest of Isis Storm? We are still here fo’ sho. I have a joke about myself and a few of the members as being the Spiritual wing. What that translates to? We roll with the seasons, hibernate as needed, get centered and then move forward when we are ready. But ultmately- NEVER SLEEP ON US! We have been working hard and getting things done. Below is a brief synopsis of what some of us have been up to. Big things and we are so happy to have your support! So les get it poppin! Last year, after helping to co-found the bilingual poetry night that has since become a festival, J9 realized she really needed to follow her calling as a yoga instructor, start planning her long dreamed of album, and most importantly dedicate her time to being a full-time mother. Perhaps this is just what makes J9 so special. Since making that decision she has become a certified Yoga instructor, almost completed her album, and worked wonders as a single parent making sure that her children still always come first no matter her endeavors. She did this facing tremendous opposition and challenges from those who could not always understand her decisions. It has been a couple years now since I coined her “J9,” and she has lived up to everyone of the “nine names” she carries. I love this woman. She is my sister. Be on the look out for her upcoming album that will be released on Lotus Prime Records (by 5th Elament and a division of Isis Storm). Also, an exclusive interview is forthcoming. In the meantime, Click on the photo below to access her site and get your yoga on! Ok ok…what HASN’T this chick been doing: College professor for Africana Studies, Director of a Young Women’s Group that I assist her with, activist, Yoga Instructor , and above all FRESH EMCEE…with 2 NEW ALBUMS on the way. 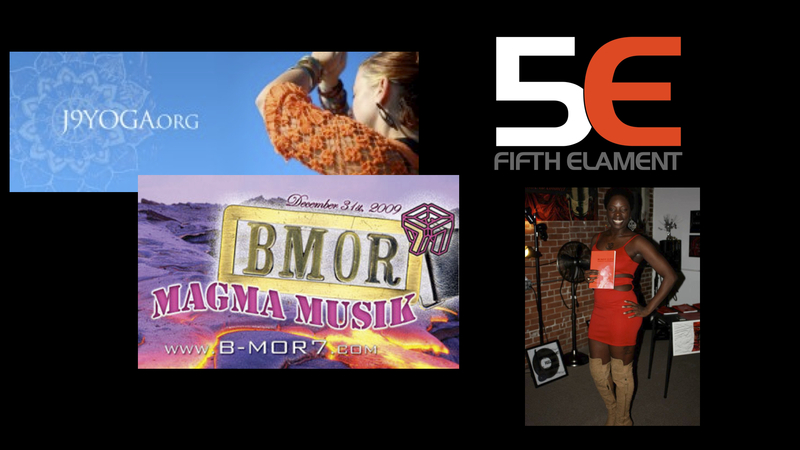 With a jammed packed schedule, B-mor 7 has still managed to work on MAGMA MUSIK VOLUME 3 along with a new album with her underground crew DSO- one that has been years in the making. Its edgy, but still conscious; raw, but still contemplative. I can only hope that she will also be releasing this with the help of Lotus Prime Records. B-mor7 and 5th Elament have also completed their first collab single which will be out soon! 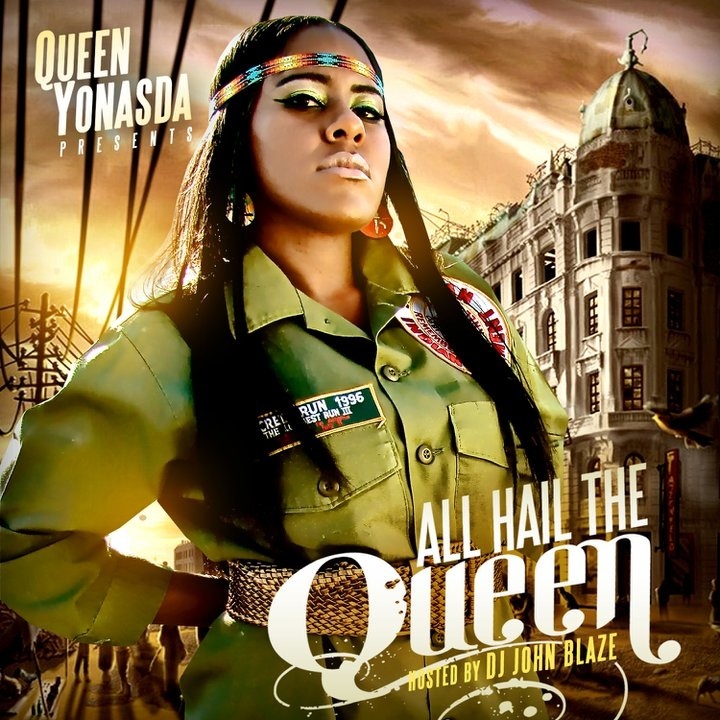 For More Go to http://www.reverbnation.com/bmor7 and in the meantime, check out her new video! Daaaamn B! Click above to hear an excerpt from an interview about Racial Profiling in RI with youth leaders, ‎Sangress Xiong and Yonara Alvarado, and community organizer, Franny Choi, from Providence Youth Student Movement (PrYSM). An extended interview can be heard here. PROVIDENCE, RI – Have you ever been stopped and thought it was because of your race/ethnicity or age, or been searched and thought, I’m sure this is illegal? If you answered yes to one of these questions, you may have experienced a practice once known as “Driving While Black” but better known these days as Racial Profiling. Did you know that you can speak out against this practice? Today, Wednesday, March 7, community members and advocates are expected to show up en masse to share their views on racial profiling in RI at a hearing at the State House before the House Committee on Judiciary. Starting at 4:30 PM, the legislative committee will hear testimony about several bills related to motorists; the Comprehensive Racial Profiling Prevention Act is one of the bills. But folks have been speaking out on the topic for years, including youth and adult advocates from Providence Youth Student Movement (PrYSM), an organization founded to support Southeast Asian Youth in Providence. Hear more about their work in the video above or here in this extended podcast of excerpts from my February 15 interview with PrYSM youth leaders, ‎Sangress Xiong and Yonara Alvarado, and PrYSM staffer Franny Choi. It aired lived on my weekly program, Sonic Watermelons on Brown Student and Community Radio. During the interview, Xiong, Alvarado and Choi talk about recent campaign actions, like the February press conference introducing House Bill 7256, the making of the local documentary called Fitting the Description, and other recent activities that they have participated in with PrYSM and the Coalition Against Racial Profiling. Alvarado (who is Latina) says she became passionate about the topic after being in the car and witnessing racial profiling when her uncle was stopped by an officer, and subsequently feeling less faith in whether officers are best serving the community; Xiong, who is Hmong (Southeast Asian), helps explain how a practice once known as “Driving while Black” has expanded to include not only the Latino/Hispanic community, but the Southeast Asian community in Providence as well – including friends and neighbors of his. A mandate to create standard policies and protocols for police vehicles using recording equipment, such as documenting every stop that is made and prohibiting the tampering or disengagement of equipment. To connect with PrYSM about their work on Racial Profiling, visit www.prysm.us or emailfranny@prysm.us. For more information about the Coalition Against Racial Profiling or next Wednesday’s hearing, contact Nick Figueroa of the Univocal Legislative Minority Advisory Coalition (ULMAC) by email at policy@ulmac.org. Anyone can attend the hearing and sign up to testify, but Figueroa highly encourages anyone who would be testifying for the first time to contact him in advance for information and tips on the process of giving testimonies and what to expect in the hearing. For example, four other bills are scheduled to be discussed on the same night and in the same hearing (meeting), so 4:30 may be the start-time for the hearing, but not necessarily when the Racial Profiling Bill is addressed. Pieces of this article also appeared in a March 2 article on RIFuture.org, while Sonic Watermelons airs live every Wednesday, from 6-8 PM (EST) at www.bsrlive.com. Additional clips from the interview can be heard here in an extended podcast of the interview. Click here to listen a segment of my February 8, 2012 conversation with advocates Margaux Morriseau and Nick Figueroa of the RI Coalition for Payday Reform. PROVIDENCE, RI – Are Rhode Islanders paying fees for loans that are higher than what residents in other states are paying? The answer in some cases is yes – 260% versus 36%. Learn more about the type of loans that charge these rates, the impact of these loans on RI families, and what you can do to stop the practice in this excerpt from my interview with Margaux Morriseau and Nick Figueroa of the RI Coalition for Payday Reform. It’s from the February 8, 2012 edition of Sonic Watermelons on BSR (Brown Student and Community Radio) – a show I produce as part of my work on VenusSings.com and with Isis Storm, a collective of artists, writers, and educators who empower women and underserved communities through performances, workshops, and media projects. 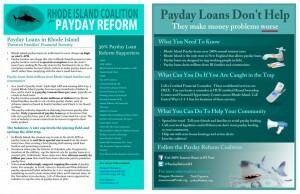 For more information on the topic, click here to listen to the full interview or click on the handouts provided below by the RI Coalition for Payday Reform. (NEW BEDFORD, MA) – New Bedford Whaling National Historical Park, La Soul Renaissance: Overflowing Cup Project, and Dj Reza Wreckage of Isis Storm and http://www.VenusSings.com invite you to celebrating our story, our past, while honoring our present. On February 11 we will be celebrating the Birthdate of Frederick Douglass and also Jibreel Khazan founding member of the Greensboro Four from the sit-in movement. Apostle Jibreel Khazan turned 70 years old this year and we felt it was only fitting to honor the living legend, while recognizing historical legend Frederick Douglass. For this event we have book some amazing artist whose art, vibe, message and work reflects the message and passion of both Jibreel Khazan and all the ancestors and elders who have carried the baton of freedom, human rights, justice, and love. 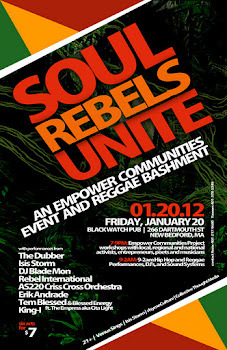 For this amazing event we will have the Guest of Honor Jibreel Khazan, the Cape Verdean Reggae Band Afrika Rainbow, New Bedford Hip Hop artist Caliph by way of Senegal Africa, Acoustic Soul Singer Cedric Josey, Poet/Emcee/Vocalist Raena Camacho, Slam Poet Frederick Douglass Knowles from Connecticut, YAP (Youth Ambassador’s Program), YouthBuild New Bedford, and Erik Andrade and the Overflowing Cup Project and more. 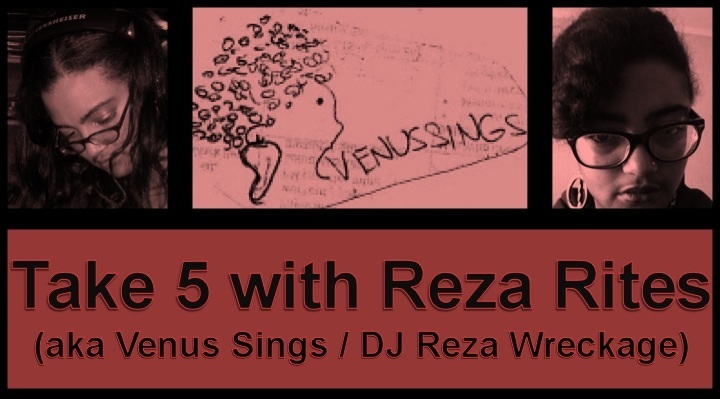 (PROVIDENCE, RI) – Join VenusSings.com and Friends for the next Bilingual Poetry night produced by radio DJ, digital storyteller and cultural navigator Reza Clifton. This month’s edition is dedicated to celebrating Asia and Pacific Islander cultures and features Indonesian-born Blues Singer/Songwriter, Agus Lele, of the group The Bali Brothers! The night also includes an open mic for poets, storytellers, and other lyricists and performers sharing works in English, Hmong, Khmer, Spanish and/or any language of their choosing. Plus music by me, DJ Reza Wreckage (of VenusSings.com, Isis Storm, WRIU, and BSRLive.com). Sign-ups start promptly at 7:00 PM or sign up ahead of time by email at singsvenus@gmail.com or through a comment on the Facebook event page. For additional event / venue information visit http://www.venussings.com andwww.rootscafeprovidence.com. Click here to check out my recent interview with Nuala Cabral and Denice Frohman of FAAN Mail, a Philadelphia-based media activist group that has launched a social media campaign (on Twitter, primarily, #WishiLearnedinHS), “Wished I Learned in High School,” in response to policies in Arizona restricting ethnic studies programs. Click on the video above to learn about on-the-ground protests in Arizona. (PROVIDENCE, RI; PHILADELPHIA, PA; TUCSON, AZ) – When does learning about non-Europeans/non-Whites in the US constitute promoting resentment toward a race or class? When does learning about the development of the US and manifest destiny and those who opposed such policies cross the line to become promoting the overthrow of the US government? When did a class providing awareness about the societal and civic contributions of one of this country’s minority/ethnic groups become illegal? Yet it is recent events that have re-stirred up the questions, concerns, and heated debates on the topic: the final termination of the Mexican American Studies program in Tucson, Arizona – and the removal of corresponding books from Tucson schools that are now part of a list of banned literature. Critics of the legislation say that the policies curtail teacher creativity, and call the law an attempt to further silence and marginalize people of color in a state becoming infamous for what many view as one anti-immigrant or anti-Brown policy after another. Supporters of the state law – and the recent move by Tucson officials – cite the Mexican American Studies program as an example of a program that promotes one racial/ethnic group over all others, and say that programs like these promote a victimization mentality. But critics aren’t buying it, and they’re not standing by quietly. Two such activists are Nuala Cabral and Denice Frohman of FAAN Mail (Fostering Activism and Alternatives Now! ), www.faanmail.wordpress.com. FAAN Mail is a media literacy/media activism project formed by women of color to promote pro-active audiences and creative alternatives. Cabral and Frohman are based in Philadelphia, MA, but they’re not letting geography stop their actions. On the contrary, Cabral, Frohman and the FAAN Mail community have launched a social media campaign (on Twitter, primarily, #WishiLearnedinHS), “Wished I Learned in High School,” to collect and share stories from people who can speak to the benefits they’ve gained from Ethnic Studies programs and to the regrets they feel about not getting enough exposure to the stories of people of color, women, LGBT writers, and other voices in their K-12 years. Cabral and Frohoman say they are outraged that racist/conservative ideology has prevailed over data on programs that have been proven to be effective for students of color (who are at more risk for dropping out), and bothered that what hasn’t been acknowledged is the idea that there are already preferential treatments built into the educational system – those that favor the stories, ideas, history and perspectives of wealthy, western, white men. Click here to check out my audio podcast/interview with Cabral and Frohman, which was recorded and originally aired on Sonic Watermelons on bsrlive.com on Wednesday, February 1. Click here to see a short video about some of the on-the-ground student and community organizing. Or check out the links below to learn more about the FAAN Mail campaign and the Arizona saga. Isis Storm is a RI-based collective of women who use art, words and music to empower women and underserved communities, specifically through performances, workshops, and media projects. The group was founded by Reza C. Clifton – an award-winning blogger, DJ, and multimedia producer – and by hip hop artist, poet and scholar-educator, Kalyana Champlain. 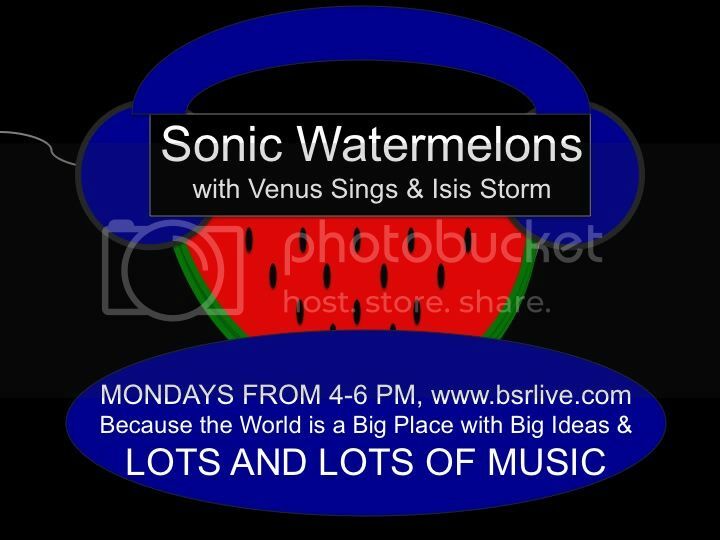 Sonic Watermelons with Venus Sings and Isis Storm: Every Wednesday from 6-8 PM on Brown Student & Community Radio. Listen live or later on the archives, www.bsrlive.com. Want to receive Isis Storm updates in your email inbox? Click on the image to sign up for the Isis Storm E-newsletter. Isis Storm is a collective of female poets, musicians, artists, photographers, media producers, and educators with the collective mission of bringing forth those voices that are being neglected. Partners in Learning About AIDS (PL-AIDS) is a non-profit organization based in Providence that aims to educate and treat high risk HIV populations, locally and globally. To hear the song live or for more information about bringing HIV Awareness, Spoken Word Poetry and Music to your community, contact Isis Storm (www.IsisStorm.com) or PL-AIDS project (www.plaidsproject.org).